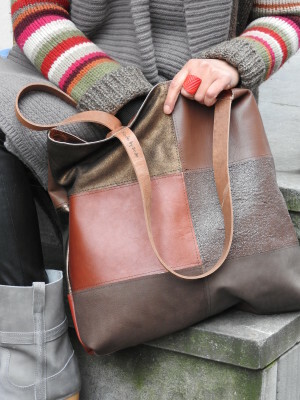 Patchwork shopper, using different kinds of leather. 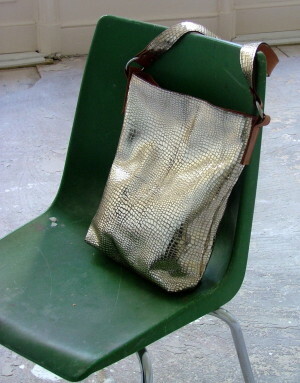 A grey shopper with a flowery pattern beige leather and brown straps. 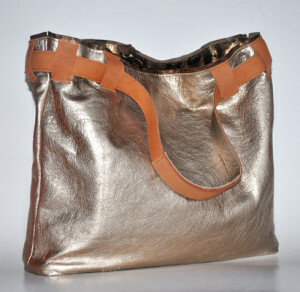 Combined with dark bronze with flower pattern and silk fabric. 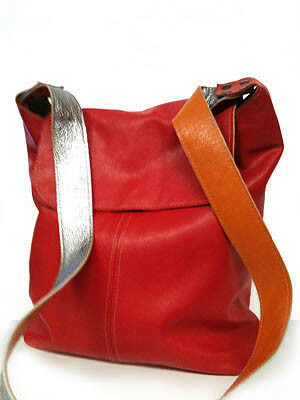 Red shoulder bag of leather, with orange and silver shoulder strap.